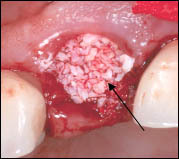 When a tooth has a hopeless prognosis and extraction is required, socket preservation through a grafting technique at the time of extraction will prevent the irreversible shrinkage of the ridge. 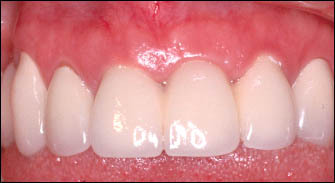 The ridge shrinkage can result in an aesthetic deformity. Replacing the missing tooth with an aesthetic result will be difficult if an implant or traditional bridge is planned since the bone dimension can be deficient. 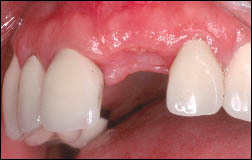 The following case illustrates the socket preservation of an upper left central incisor and final restoration. BELOW ARE CASE STUDY PICTURES FOR EDUCATIONAL PURPOSES ONLY.